Here comes the autumn. Leaves become bright, air becomes fresher yet colder. Soon the season of jeans, sweaters and scarves will get started. 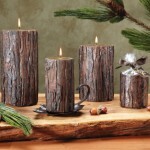 But it’s time to dress up not only yourself, but also your home as well. 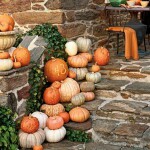 The main thing for decorating home in autumn style is color. Autumn brings a lot of soft, warm colors. So, let’s bring them in! 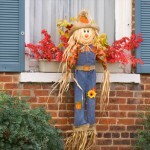 Also autumn is a time for vegetables and fruits, first of all, for pumpkin, corn and apple. Put pumpkin pie, boiled corn and glintvein on the table. Left fruits can be used to decorate home. 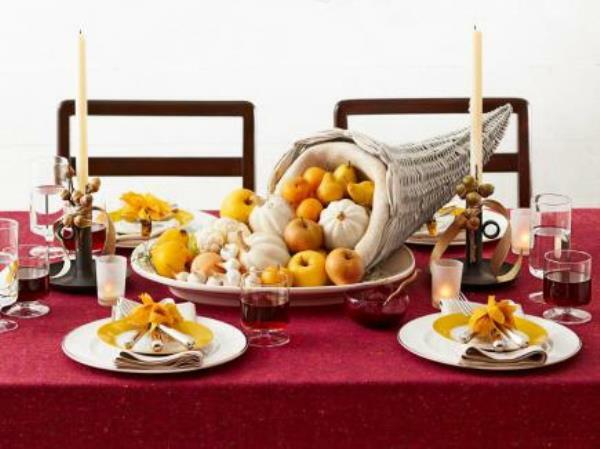 Small pumpkins and apples spilling out of a cornucopia make the tabletop look very appetizing. 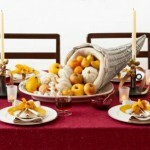 Add yellow or orange napkins and dinner table will not look so ordinary. 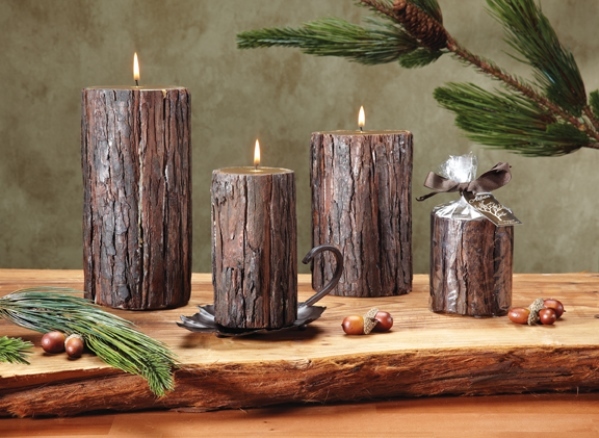 Couple candles with soft smell of pine needles to help create cozy atmosphere. Freshly picked garden blooms in a right vase can turn any kitchen or dining room to a place full of grace and taste. 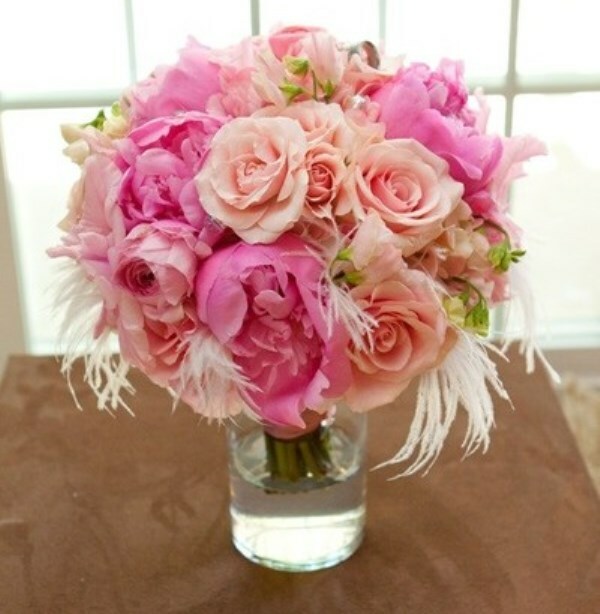 A small tip: besides yellow and green colors, pink and purple arrangements can create elation. Also a combination of branches and fruits in a vase will look good on the table even in the working area. A tree in your yard lost all its leaves? 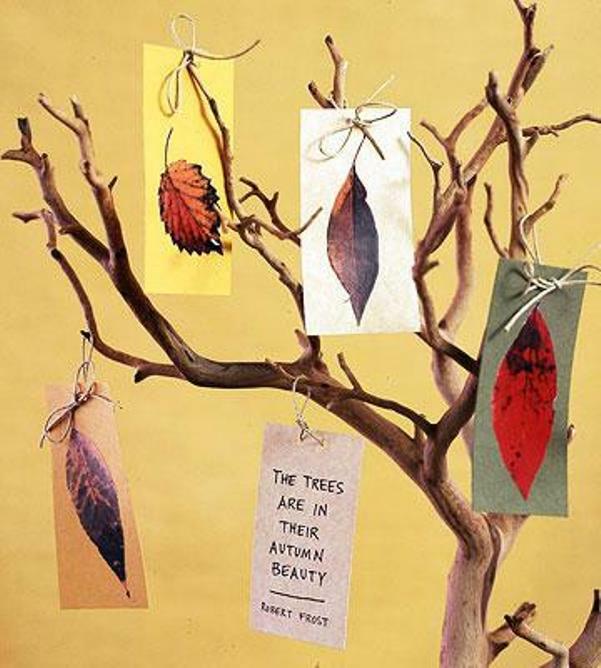 Don’t be upset, preserve them by drawing leaves on paper and stick them on branches with help of cord. 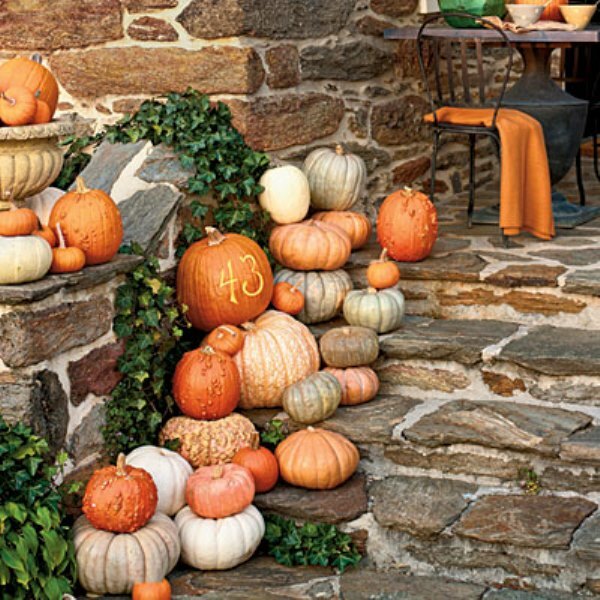 Pumpkins of all sizes left chaotically outside on the veranda and stairs can welcome your guests. Put a wreath on the door or on the mirror in hallway. 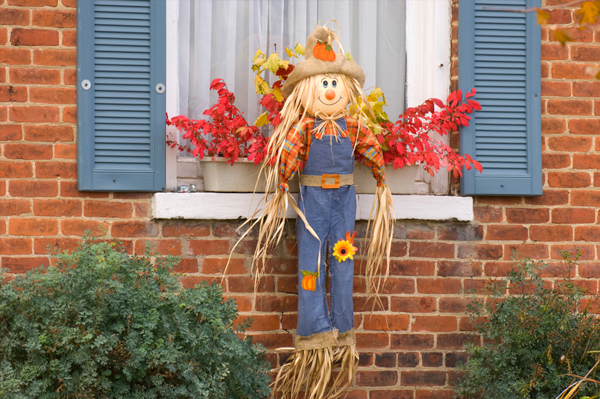 It could be made from almost anything you can find: fruits and pine corn, sunflowers, small pumpkins, wheat, and other things. Stuff poly-cotton scarecrow on the stairs or on the bench for an autumn display. 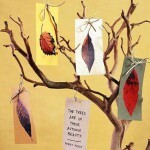 You can buy it in the store or do it yourself with kids as a part of autumn activities.